If you’re looking to reduce lines and wrinkles and achieve younger looking skin, injectables (Botox or Dermal Fillers) might be the way to go. We offer some of the most advanced and effective Botox & Dermal Filler therapies designed to enhance your appearance and take years off your face. 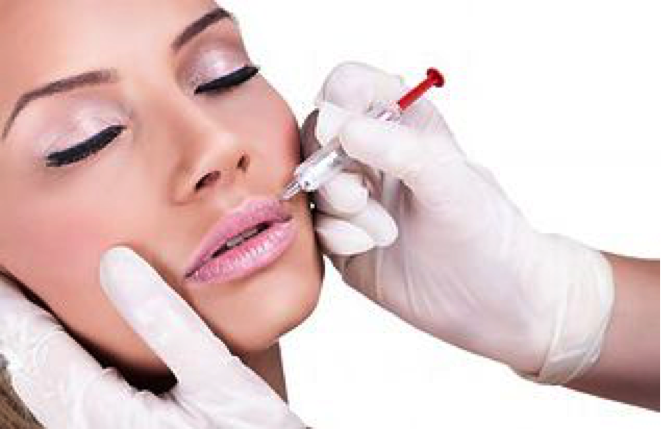 Botox Cosmetic is a purified non-animal protein that, when expertly injected into selected facial and neck muscles, will improve the look of moderate-to-severe lines. Botox works by temporarily blocking the nerve impulses to the injected muscles, thus reducing muscle activity that causes persistent lines to form on the face and neck. Botox must be administered by a healthcare professional and is a low discomfort, nonsurgical treatment. 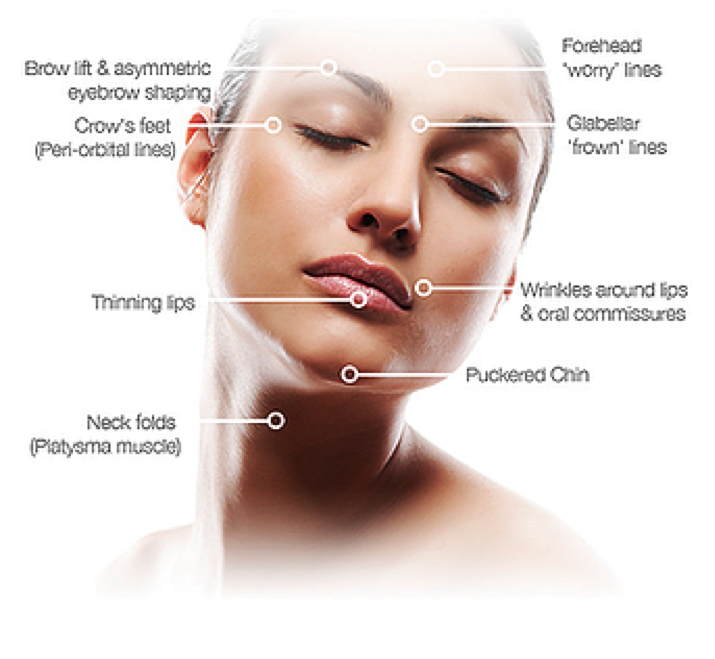 Botox can also be expertly used to produce a non-surgical Botox Brow lift, Botox Cheek lift, Botox Corner of the Mouth Lift and Botox Neck Lift effects. Your Reflections Laser & Wellness Center in-office Botox treatment program will be complemented with a recommendation for our medical grade Home Skin Care, which will help support and enhance your Botox results. At Reflections Laser & Wellness Center, we offer our patients the most effective soft tissue dermal fillers to enhance your appearance, smooth away fine lines and wrinkles, while leaving you appearing youthful, refreshed and natural. We perform the latest procedure called microcannulavoluma-lifting. The microcannulavoluma lifting technique successfully delivers less risk of bruising and swelling and less risk of rare but serious complications like loss of skin or scarring after sharp needle injectables. Having your soft tissue fillers performed with a microcannula not only allows you to “go out” socially that night, but it is also the safest procedure to regain the fullness of youth. Clients who have indentations in the skin, depressed scars or deep wrinkles, grooves, folds or areas of soft tissue depression and also those who wish to enhance their lips may be good candidates for soft tissue filler enhancement. Excellent candidates for soft tissue fillers also include those with aesthetically displeasing loss of facial volume and deflation, who desire volume replacement, the restoration of the “fullness of youth”. What are the names of some of the dermal fillers? Some of the most common soft tissue filler names include the hyaluronic acid sugar gels, Juvederm, Voluma, Restylane, Perlane, Teosyal and Prevalle, as well other non-gel soft tissue fillers such as Radiesse, Sculptra, Evolence, Beautical, Outline and Collagen. Your Reflections Laser & Wellness Center soft tissue filler treatment professional injects the gel under the skin to instantly restore both your facial and skin volume and smooth away facial wrinkles and folds. After the treatment, you may resume your regular activities. There may be mild to moderate bruising and some swelling especially in the lips, for a few days following treatment with soft tissue filler injections. Can I combine other treatments with dermal filler to enhance my results? There are additional procedures that could enhance the result of soft tissue fillers, other facial cosmetic procedures. For example; FotoFacials, Botox, fractional laser resurfacing, face lift, VolumaLift, eyelid lift,rhinoplasty, endoscopic brow lift and Pan G lift. Hyaluronic acid sugar gels are a naturally occurring sugar type substances found in the cells of all mammals and they help to hydrate and add volume to your skin. Because they are present in all human cells, there is no need for skin testing these gels, as immune reactions to these products are very uncommon. In addition to their use as an aesthetic treatment, hyaluronic acid gels have also been used for more than 20 years for injection into arthritic joints to aid movement as well as for eye surgeries and wound repair. For more information about Body Sculpting Treatments or any other cosmetic treatment options, don’t hesitate to call us to schedule an appointment.